As a nine-year-old, Kumud witnessed the brutal and horrifying suttee ritual when her beloved aunt immolated herself on the burning pyre of her dead husband. Years later, Kumud summoned the courage to escape the isolated and primitive town of her youth to start a new life in Ambayu, a metropolitan city. She began as office help at Save Girls Soul Orphanage Center and progressed to become its director. At SGSO Center, she becomes a warrior for women’s education and equal rights. She teaches young women to protect themselves from outmoded practices and rituals that victimize women. Then a phone call informs Kumud that the suttee of a sixteen-year-old is inevitable. She has vowed that she will never let it happen again. 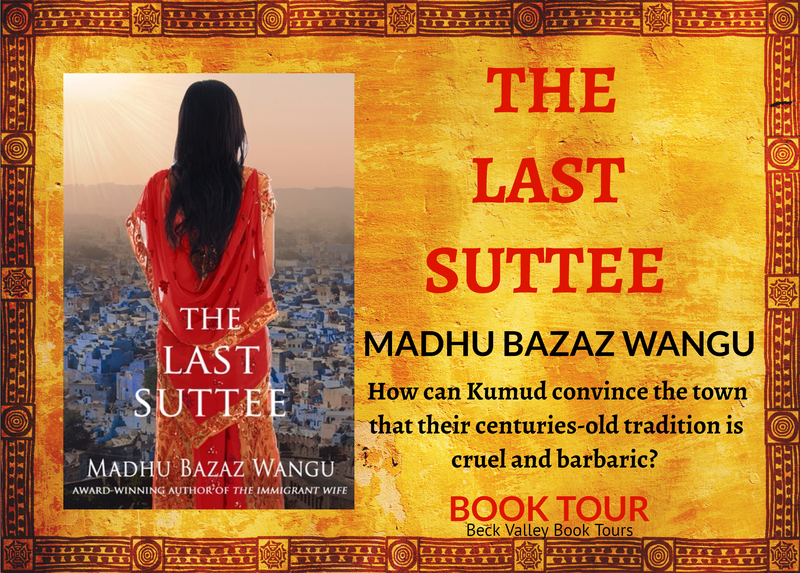 Still haunted by her aunt’s suttee, she leaves everything behind, including her love, Shekhar Roy, to end the barbaric custom that scarred her for life, and to save the young bride from committing suttee. 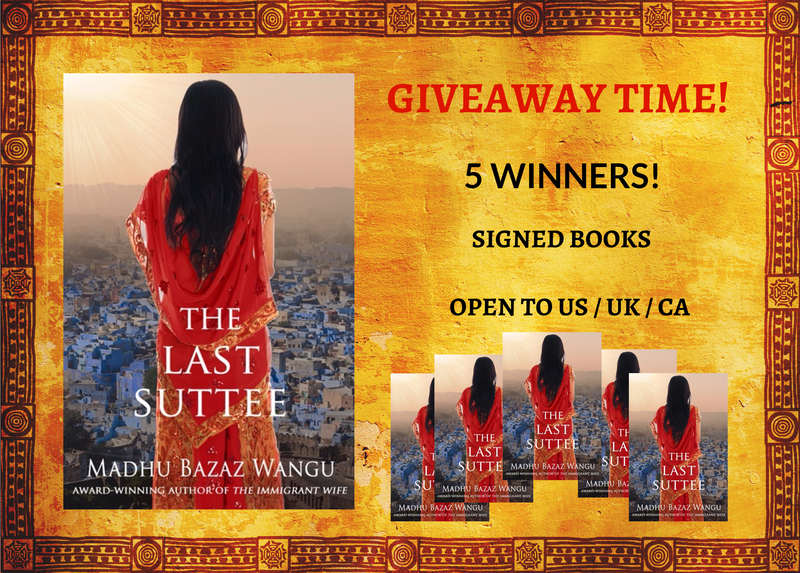 As Kumud travels back to the town of her youth, long-buried memories resurface and force her to remember the life from which she fled. The town that greets her is full of contradictions. It has electricity and clean water, and a new school is open to low castes, yet superstition and prejudice abound. How can she convince the town that their centuries-old tradition is cruel and barbaric, that a widowed young woman deserves the right to live? Can she change the minds of the townspeople and the Five Elders before it’s too late? 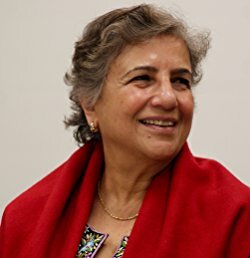 An author, artist, world-traveler and the founder of the Mindful Writers Group, Madhu Bazaz Wangu was a professor of arts and religions of India before becoming a full time writer. She has a doctorate in the Phenomenology of Religions from the University of Pittsburgh and a post-doctoral fellowship from the Harvard University. For twenty-five years, she taught at the University of Pittsburgh and Chatham College in Pennsylvania, Wellesley and Wheaton Colleges in Massachusetts, and Rhode Island College. In 1997, Dr. Wangu voyaged around the world with students and faculty members from various American Universities for the Semester-at-Sea program. She loved the experience so much that each year she has been revisiting places of historical significance in different countries, observing the cultures, meeting the people and enjoying their cuisine. In 2010, she founded the Mindful Writers Group, and in 2015 started a second one. She encourages writers of all levels and genres to delve deeper in their work by body-mind-heart meditation. Her CD, Meditations for Mindful Writers was released in 2011. She guides writers in meditation and writing marathons. Twice each year, Mindful Writers Groups gather for writing retreats. There, surrounded by nature, they practice sitting and walking meditations in-between long writing sessions. Madhu B. Wangu has published numerous essays and four books on Hindu and Buddhist goddesses and Indian religions. She has held five one-person art exhibitions in India and US. Her collection, Chance Meetings: Stories About Cross-Cultural Collisions and Compassion, was published in 2015 and her debut novel, The Immigrant Wife: Her Spiritual Journey, in 2016. Currently, she is writing her second novel, The Last Suttee and a guidebook for mindful writing. On the morning of September 5, 1987, I was going through the Hillman Library card catalogue at the University of Pittsburgh when a friend stopped by. She told me something I would never forget. She said that an eighteen-year-old Indian woman, named Roop Kanwar, had immolated herself on the pyre of her dead husband. I was dumbfounded. Suttee in the twentieth century? It couldn’t be. But The New York Times confirmed the news. The ritual, known as suttee, was witnessed by the townspeople and thousands more came to see it from nearby villages and towns. When the news was leaked the following day, the town was swarmed for days by Indian and international journalists. I was stunned and speechless, my legs laden with lead. At that frozen moment, the seed for this book was planted. The kernel stayed dormant, but the incident continued to sear like a wound at the back of my mind. The distress was raw, but I was not yet emotionally ready to write about what had happened and how it had affected me. In the ensuing years, I trawled libraries, bookstores, and the Internet, learning about the history of suttee and the cultural and religious traditions in which it is rooted. I studied records of the shrines dedicated to women who had committed suttee. I read the history and mythology of the namesake goddess, spelled Sati. Critically and carefully I analyzed the photographs of Sati temples and studied the engravings, drawings, and paintings of the goddess Sati and the suttee ritual that had been made by British, European, and Indian artists and travelers. Suttee is a centuries-old Hindu ritual. This ancient belief still persists in some remote corners in India. The belief is if a widow cremates herself with her dead husband, the couple will live in heaven as they did on earth. Furthermore, such a sacrifice guarantees a place in heaven for seven generations for both sides of the family. Goddess Sati is the daughter of the high priest Daksha. Shiva, the world renouncer, is so awed by her yogic skills and asceticism that he grants her a boon. Sati asks to marry him. He agrees. Daksha dislikes Shiva. He finds Shiva unconventional and unkempt. Despite her father’s opposition Sati marries Shiva and they live in his mountain abode in Himalayas. Daksha plans a great sacrifice. He invites all the important divine beings, except Shiva. Sati feels disgraced by the way in which her father has treated her husband. On the day of the great sacrifice, she throws herself in the fire pit meant for the sacrifice. And burns herself to death. When Shiva discovers what has happened to his wife, he is outraged. He pulls out Sati’s half-burnt body, holds it on his shoulders, and in anguish and lamentations whirls around the world. Goddess Sita is an ideal Hindu wife. Her husband, Rama, is the center of her life. His welfare, reputation, and wishes are most important to her. One day, the demon king Ravana abducts her and takes her to his golden palace. He lies to her that he has killed Rama. Sita is horrified. She moans and tells him that it must have been her fault that her husband was killed. She warns Ravana she could burn him to ashes with the fire of her chastity, but she won’t because she did not have her husband’s permission. In the end, Rama defeats Ravana and brings Sita home. There he severely tests her loyalty because she has spent days under the control of another man. Sita is shocked at such an accusation. She protests her innocence. She says she has remained wholly devoted and completely faithful to him. Rama persists. Grieved by his false accusation, Sita asks for a funeral pyre to prove her innocence. A pyre is built, and Sita stands atop it with hands folded. Agni, the god of fire, refuses to harm her because she is innocent and pure. She returns to Rama unscathed. Yet he banishes her to a forest. Sati and Sita are faithful and chaste wives, and they are devoted to their husbands. The lives of these goddesses are defined by their husbands. Although their dedication and chastity are exemplary, they pay a heavy price for being wives. In both myths, fire plays an important role. Whereas Sati voluntarily kills herself, Sita is saved by Agni. Their god/husbands are alive when the women jump into the sacrificial pit or on the funeral pyre. But ordinary women’s lives are no myths. When a woman is forced into being a suttee, neither her husband nor the god of fire will save her. The suttee ritual was outlawed by British Raj in 1829. The ritual was described as “heinous rite” when cases surfaced about widows being tied to their husband’s pyre even after being intoxicated with bhang or opium. Many reports of widows escaping and being rescued by strangers were also recorded. Still, more than a century later, scattered instances of the custom have been reported, such as Savitri Soni’s in 1973 and Charan Shah’s in 1999. The most notorious and controversial case, however, was of Roop Kanwar. Indian people either publicly defended Roop’s action or declared that she had been murdered. Following the outcry that followed Roop Kanwar’s suttee, the government of India enacted the Rajasthan Sati Prevention Ordinance on October 1, 1987. The law makes it not only illegal to commit suttee but also illegal to glorify the ritual or coerce a woman to commit suttee. Glorification includes erecting a shrine to honor the dead woman or converting the place where immolation took place into a pilgrimage site. Derivation of any income from such activities is also banned. The law makes no distinction between a passive observer and an active promoter. Everyone is held equally guilty. The seed for writing a book inspired by Roop Kanwar’s suttee finally sprouted in November 2009, when I wrote its first draft as part of National Novel Writing Month (NaNoWriMo), a nonprofit internet organization that supports writers in an effort to complete the initial draft of a novel in one month. It would take me seven more years to finalize the draft. The story continued to incubate. I developed the characters, sketched the settings, wrote the narrative and dialogue. But to birth a healthy novel and bring it to life, I had to experience the environment in which Roop Kanwar was born, lived, and died. I needed to converse with the people who allowed it to happen. I wanted to know the antagonist and protagonist’s viewpoints. I visited India for a month in 2013 for that purpose. I went to the small towns of Deorala, where Roop Kanwar committed suttee, and Jhunjhunu, home of an imposing marble temple dedicated to faithful women who sacrifice their young lives immediately after their husbands’ deaths. The visit stirred feelings of remorse and wonder. Why did people celebrate sacrificial death? How does blind faith hide behind the stunning structure? Domestic and temple architecture, middle and high schools, ancient mansions with bedroom walls made of mirror-mosaics (some now converted to five-star hotels) were breathtakingly beautiful. The local flora and fauna were intriguing, and men and women’s attire colorful. I fell in love with the place. But I wasn’t there as a tourist. I was there to fulfill a quest, to do something about an event that jolted the core of my being. Meeting with the people of Deorala opened my mind to the fact that a community’s worldview can be so different from my own. Yet my sorrow and awe about Roop Kanwar and my feelings about other widows like her were not alleviated by talking to Roop’s father-in-law, her brother-in-law and his wife, or their neighbors. Nor did I blame them after visiting her neglected and unkempt suttee site. However, the visit helped me better understand the point of view of the town residents. A magnificent temple dedicated to the goddess Sati, which locals honor and regard highly, further clarified their worldview. My interview with Roop Kanwar’s father-in-law took place in the verandah outside the room where Roop lived with her husband. This was the room where she dressed herself in bridal attire and decked herself in jewelry before following her husband’s dead body to the cremation site. The room has been turned into a shrine, and Roop has become an ishtadevi, a manifestation of Narayani Satimata, a local goddess higher in the pantheon of the thousands of village goddesses of India. When I asked to go to where Roop performed suttee, her father-in-law declined to walk along, but he did ask other men to take me there. I treaded the path that evidently Roop Kanwar, most probably intoxicated with bhang, walked with the help of two women. They followed her husband’s litter, which four male relatives carried. I was told a lamenting crowd of men, women, and children followed the dead body and Roop as they headed toward her husband’s funeral pyre. Facing the desolate ground where the ritual had taken place twenty-six years earlier, I shed tears of pain for an eighteen-year-old who didn’t know better, and who no one came to rescue. The characters in this novel are fictional, but the setting is historic. Writing it does not feel like redemption, for I still ache for the women of the world who are engulfed in outmoded traditions, who are uneducated and dependent. Women with so much potential to offer their families, their communities, and, most importantly, to themselves. Undoubtedly, the world over, women have made tremendous progress. Yet, the path to elevating women’s social status has many roadblocks, and the process is slow. I sincerely hope The Last Suttee not only helps remove a block or two but also adds substance to the process of change. I'm glad I read this one. All of her books have been good. 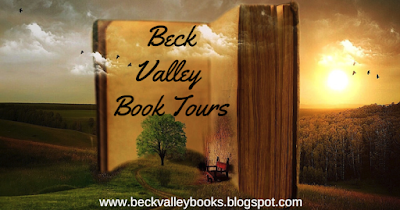 What a pleasure to go on a cyber book tour with you and your wonderful reviewers. Looking forward to stopping by at each website and greeting its readers! Stories that relate tales from other cultures, whether real or fictionalized, have always been most interesting to me. I've not yet read this one. I would love to see female genital mutilation stopped. I realize it's a complicated issue, but I can't imagine it's beneficial to any woman. I agree with another poster about outlawing female genital mutilation. This is a sick practice. 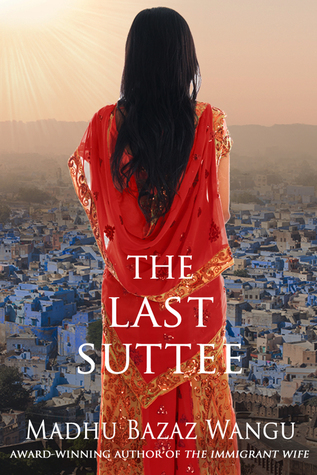 Thank you so much, Sharon for a memorable book tour of The Last Suttee!